One of the biggest storylines for the third edition of Red Bull Straight Rhythm this weekend is the debut of the Alta electric bike, being ridden by Josh Hill. The former 450SX race winner was on the Pulpmx Show Monday discussing the bike and was also featured in a Revzilla profile. Hill, a former factory racer, told Revzilla that on power, the Alta is between a stock 250 four-stroke and a race team 250 four-stroke. Check out his test ride. With defending champions James and Malcolm Stewart out for the weekend, and no Ken Roczen, Eli Tomac, Jason Anderson, the list goes on, Hill’s debut will certainly be a reason to watch this weekend. Tomorrow could be a pivotal day in the timeline of motocross. 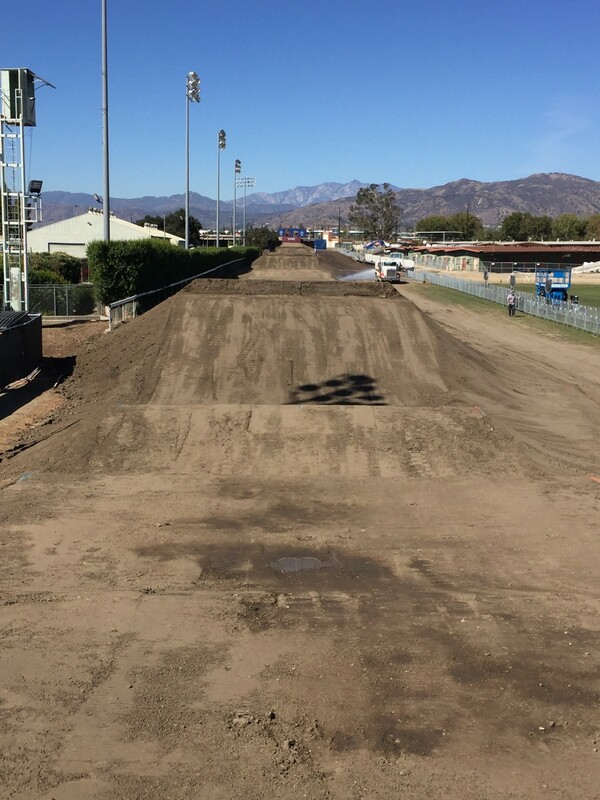 The annual Red Bull Straight Rhythm event will take place at the Pomona Fairgrounds in Southern California. It's a fun event meant to give riders and fans something to look forward to during the off-season. This year it will have the added bonus of maybe looking even further ahead. Former AMA Supercross winner and Yamaha factory rider Josh Hill is going to line up in the Lites class (250) aboard the Alta Motors electric bike. No one really knows how he's going to do or how the bike will match up with modern 250cc four-strokes, but by the looks of the video Hill posted on Instagram, this is not like the electric bikes we're used to seeing! 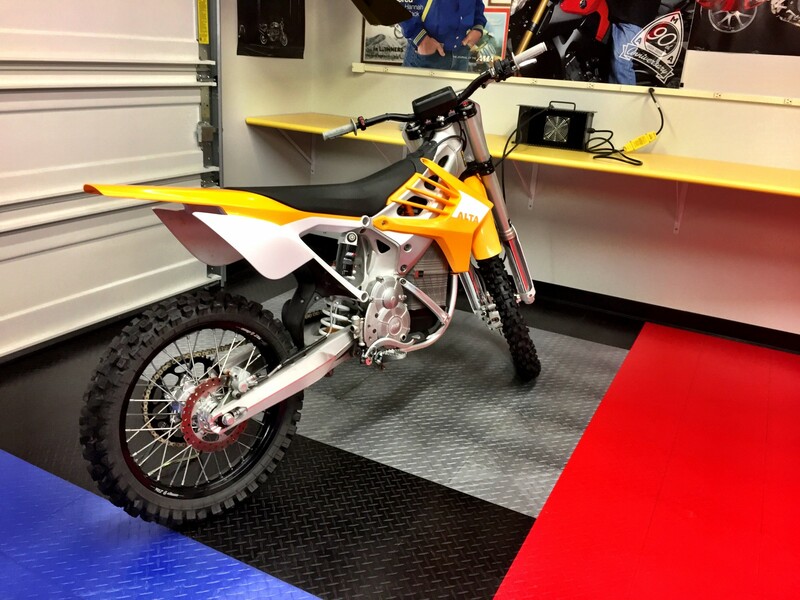 For years, we've been waiting on something like this to come along, but past bikes haven't quite been up to the task of competing alongside gasoline-fueled dirt bikes. For some, electric bikes always seemed kind of silly and non-moto—dirt bikes aren't supposed to be silent, right? But at the same time, we're seeing electric cars go further and further in development, and as the batteries get more sophisticated and efficient, electric bikes are getting faster and going farther. Recently, Kurt Nicoll raced the Alta in an EnduroCross and won the Vet class. Now Hill may have a shot at doing something special at Red Bull Straight Rhythm. No matter how Hill does, remember that this is where we are in the evolution of electric bikes. Like four-strokes in the late nineties, they are only going to get better. And that puts the AMA in a tricky spot, just like they were back then when four-strokes came along and needed to have more cc to compete with with two-stroke 250cc motorcycles. After Doug Henry's breakthrough win at the 1997 Las Vegas Supercross finale on a prototype YZF400, 450cc seemed to many like the right number to place in the rulebook for four-strokes, and 250cc in the 125cc class. In hindsight, those numbers probably should have been a lot lower, like maybe 300cc and 150cc, but the AMA wanted to promote the development of these new models, and so did all of the OEMs. Now, four-strokes dominate the sport, for better or worse. Two-strokes aren't dead, but they are so rare in pro motocross that a lone privateer on a 125cc two-stroke like Gared Steinke can become a crowd favorite for simply lining up on one. Two-strokes are still on the market, much less expensive and easier to work on that four-strokes. There's also a nostalgic feel to hearing or smelling the exhaust of a premix-burning screamer that will probably never go away. Now we have the developing market of electric bikes like Alta and the possibility that we may soon have another option to not only ride, but soon race too. The question is, where does something like this Alta fit into the current class structure, and how might it fit in a few years down the road? We'll know a little more after tomorrow. And I hope they get it right this time.